International rail connections between the capitals of Central Europe. Graphic courtesy Centre for Sustainable Transport (CZT). Notwithstanding various European Commission initiatives to create a ‘connected Europe’, and to encourage a modal shift to rail, Poland’s international rail connections are pretty dire. Now the ‘Man in Seat 61‘ reports how international connections from Wroclaw Glowny have been slashed. Should Wroclaw be stripped of its 2016 European City of Culture status? First the Berlin-Wroclaw-Krakow sleeper train got cut. Then the Berlin-Wroclaw-Krakow daytime EuroCity train Wawel got cut back to Berlin-Wroclaw. Then it disappeared completely in December 2014, a civilised train replaced by 5 hours strapped to a bus seat, as if Wroclaw was not a major city, but a remote village far distant from the European rail network. In a month or two, all Dresden-Wroclaw regional trains will be cut, unbelievably (a) leaving a 2km gap across the border between rail services on either side and (b) leaving Wroclaw with no direct trains whatsoever to or from Germany & the West. Can such a remote and inaccessible village possibly be European City of Culture 2016? Perhaps the title should be reallocated to a city people can actually get to… Wroclaw needs to wake up and reassert its need for proper links to the rest of Europe. A hat tip to Chris White and Podrożnik for today’s stories. Ol49-69 at Wolsztyn station having just completed its second turn from Poznan on a scorching hot 6 August 2012. Photo BTWT. 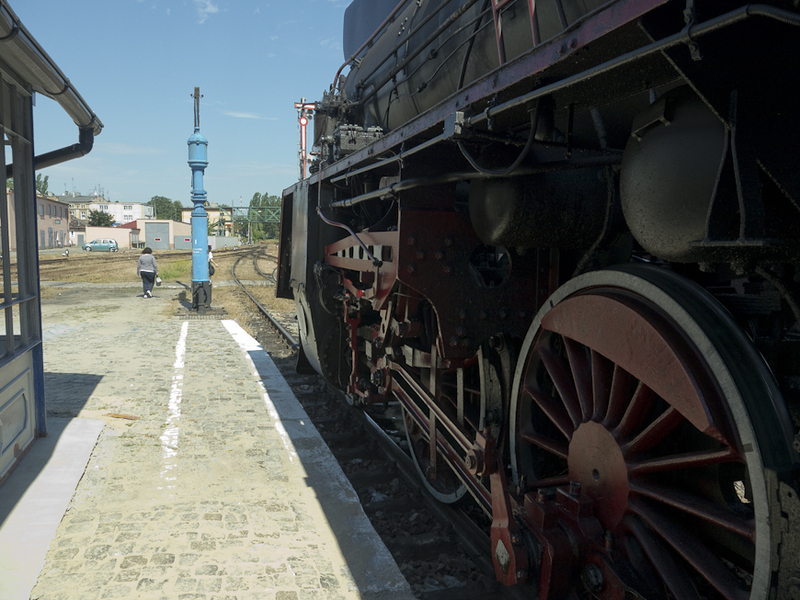 The project (see: BTWT 8 May 2014) to create a cultural institute to take over the Wolsztyn engine shed and safeguard its long-term future has run into trouble. Either the agreement between PKP Cargo and the various local authorities will be so watered down so as to fudge the question as to how much actual cash will be invested by the latter in the project, or the scheme in its current form is a dead duck. With local authorities all over Poland finding it difficult to make their budgets balance it does rather seem that the return of daily steam-hauled passenger workings by locomotives stabled at Wolsztyn shed may not be as certain as once thought. Part of Woltur’s home page on the WWW. So, in the light of this bleak news, the announcement that the town of Wolsztyn, various small local authorities and the Wolsztyn Experience have all agreed to invest in a brand new tourist product – Woltur – comes like a breath of fresh air. Woltur has been set up by Patryk Szkopiec of IRPiK, the same organisation that runs Turkol, the long distance steam specials that run approximately once a month. Now, with Woltur’s local steam services supplementing TurKol’s long-distance specials, there will be steam activities every week in the summer season. An important partner in the new venture is Przewozy Regionalne, the train operating company that will be actually running the trains and thanks to whose assistance passengers will be able to ride the Woltur services with tickets charged according to PR’s InterREGIO tariff. Congratulations from us at BTWT to everyone involved in setting up Woltur, and here’s hoping the new product is hugely successful and will prove to be one step on the way to restoring daily scheduled steam services to Wolsztyn. Ol49-61 now has a new home. 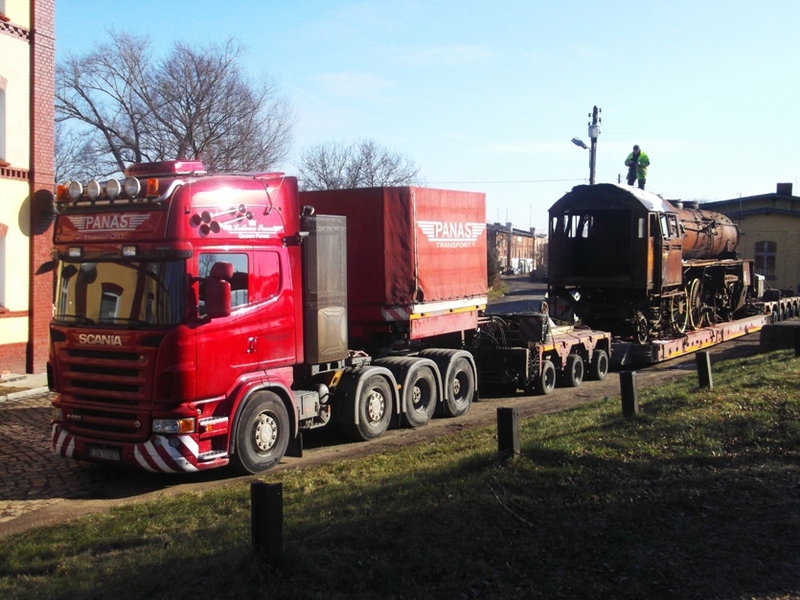 After many years languishing in Elk, the loco has now moved south, albeit on the back of a low loader. 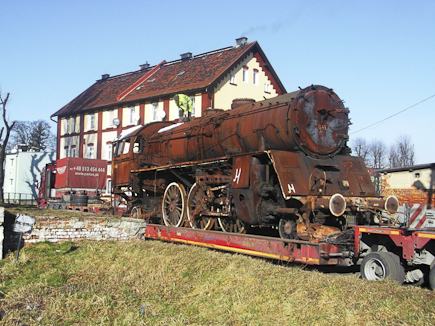 Its new home from 8 February is Dzierzoniow, in Dolny Śląsk, at the former locomotive depot. The former depot is to become an outpost of Muzeum Techniki i Przemysłu, which is based in Jaworzyna Śląsk. The Ol49 joins TKt48-72, which was formerly at Jarocin. Both locomotives were purchased at the PKP Nieruchomosci tender in 2014, along with a number of other vehicles, including Ol49-102 and Ol49-9. The state of the loco’s meant a road move was preferable. 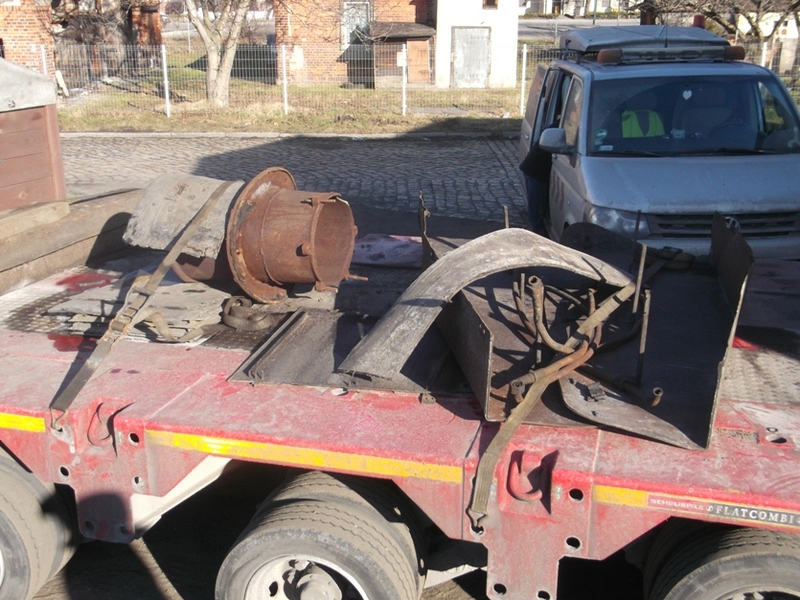 Given that the loading gauge on Poland’s roads is less than the rail loading gauge, the highest parts had to be removed for the trip, and were carried on the bed of the low loader. Ol49-9 has also made the move in the past few days, with Ol49-102 expected to follow shortly. Sławomir Żałobka appointed UnderSecretary for Rail and Air! The office customarily occupied by the Minister responsible for Polish Railways has from today (9.2.15) a new occupant, Sławomir Żałobka. 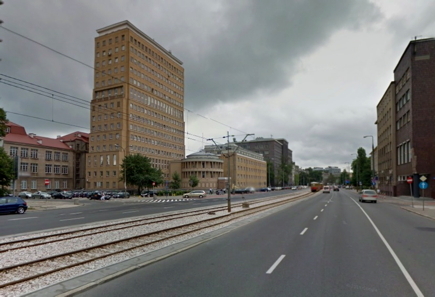 The office has been empty since 18 December when Żałobka’s predecessor, Zbigniew Klepacki was sacked by Prime Minister, Ewa Kopacz, as part of her review of government ministers. Undersecretary of State Slawomir Żałobka studied Law and Administration at the University of Warsaw. He has been a civil servant for many years. He has worked the Ministry of Finance, the Ministry of Education, the Office of the Prime Minister and the Office of the Civil Service. He was also a member of the Public Procurement Council, and acted as an arbiter in disputes involving public procurement. BTWT sees Żałobka’s appointment as a consequence of Prime Minister Kopacz wanting a ‘safe pair of hands’ in a position that has the potential to embarrass the Government. At least one of Żałobka’s predecessors was sacked for being too ‘pro-rail’.